Portability: Carrying around a 5-pound computer gets old quickly. You want something that is easy to carry around and won’t make your backpack feel like a ton of bricks. Battery performance: You might not always have access to an outlet, so you want a computer with a battery that lasts many hours, ideally upwards of 10. Fast performance: You’ve got lots to do, and little time to do it! Sitting around waiting for a website or program to load won’t cut it. You might as well use the dial-up desktop computer at reception if your laptop is going to crap out on you. Better productivity features: If you work on the road, you need a laptop that can handle the programs you use. You need something with a good user experience that won’t slow you down. Better entertainment features: What’s better than new release in-flight movies? The ability to access your own movies, music, and games easily wherever you go. Although these are obvious nice-to-haves, comparing all of the laptops on the market can be a challenge. One laptop has better battery life, and then another laptop has a great keyboard. It’s hard to figure out which laptops are going to do the most for you on all of these fronts. 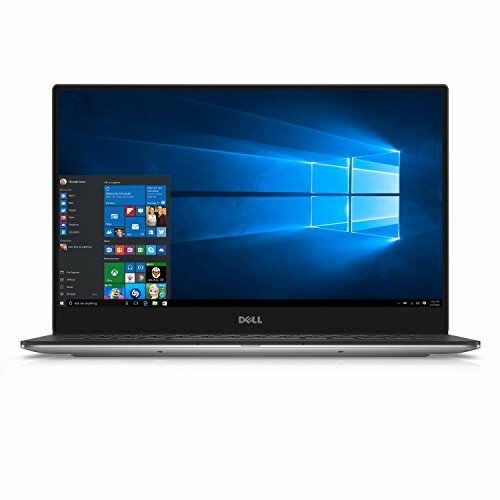 But no worries; I’ve done the research for you… Here are some laptops for 2019 that balance all of the features frequent travelers need. The Samsung Chromebook 3 packs a punch for a notebook that’s priced so low. Its 11.6-inch screen and excellent build mean you get a laptop that’s small and sturdy enough to accompany you to most places. The 1.6-GHz Intel Celeron N3060 processor, 4GB of RAM and inbuilt graphics, ensure that you have a device that can comfortably handle most of what you’d expect from a Chromebook. The laptop’s display is brighter than what competing devices have to offer. 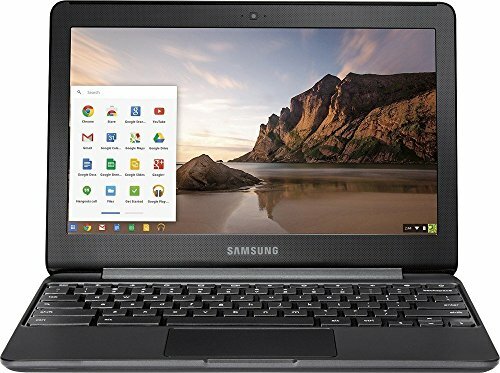 I love Chromebooks for their speed, portability, and low price tag. I’ve used a Chromebook to do my freelance writing work for years while traveling. All I really need to work is a connection to the internet, but if you need to run programs for your work, it may not be the right option for you. Who’s it for: Someone who wants a get-er-done laptop at a low price tag. ﻿The MacBook Pro is another serious contender for the best travel laptop. The newest model of the MacBook Pro 13” now has the option of a touch bar, a mini touchscreen that allows you to quickly access some of the laptop’s features. Some people love it, and some people hate it, but it’s certainly a unique feature that most laptops don’t have. Opting for the 13’’ rather than a larger version of the Macbook Pro will help you keep the weight down, although the new Macbooks are all quite light. Thanks to the 8th generation Intel processors in these computers, they are super fast, and the SSD is no slouch either. The 10-hour battery life is where some travelers will fault this laptop. Who’s it for: Someone who values portability and loves the user experience of the Mac. The Dell XPS 13 continues to impress me with its latest release, which balances price, performance, and portability. The battery life has been now reaches up to 22 hours, and performance has also been improved, thanks to the new 8th generation Intel processors. With the new InfinityEdge display, you get more screen and less bezel, making the 13.3” laptop about the size of most 11” laptops. A big plus: this laptop weighs just 2.7 pounds! Who’s it for: Someone who wants a powerful, full-featured laptop for work and travel. Someone who wants a compact laptop without sacrificing display size. 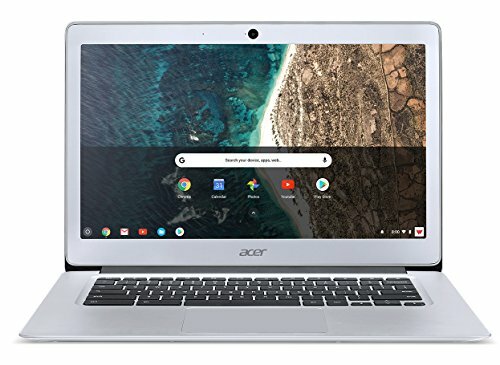 The Acer Chromebook 14 is a solid middle-of-the-range Chromebook that is reasonably priced and a joy to use. The design of this laptop is simplified but stylish, featuring a lid with a brushed metal finish. The keyboard and touchpad also have a similarly impressive build quality, and you can upgrade to a Full HD display for better visuals. While this Chromebook is a bit on the hefty side in terms of weight, it comes with a reliable battery that you can use to stream Netflix for nine or ten hours. It’s a other Chromebook that will allow you to check in with work or family, while also not being a burden on the wallet. Who’s it for: someone who wants a respectable laptop on a smaller budget. For travelers looking for a convertible laptop, the HP Spectre x360 is an easy choice. It’s most recent release isn’t a radical shift from previous models, but that’s because there were only a few things it needed to improve on. The x360 now provides a battery life of about eight hours. 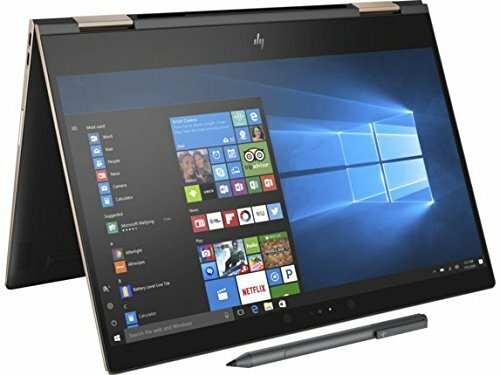 Other specifications have also seen modest improvements, and the HP Pen is both responsive and intuitive, especially in tablet mode. Who’s it for: someone who wants a powerful little convertible laptop, especially to work in tablet mode. The 6th generation of the Surface Pro ensures this product line continues to be one of the best convertible laptops you can get your hands on. The design of the newest Surface Pro is practically identical to its predecessor, but there will be few complaints in that regard. However, a matte-black finish option is now available as well, and it does a much better job of resisting fingerprints. The device is now powered by 8th-gen Intel Core processors and the battery life is almost 2 hours longer than the Surface Pro 5. The PixelSense display is sharp, colorful and bright for a more immersive viewing experience. The Surface pen will also be a useful addition, with 4,096 levels of sensitivity and tilt sensitivity. Who’s it for: designers and others who want a flexible, stylish laptop. ﻿This laptop packs a punch for its price. The Core i5-8250U processor from Intel is perfect for a machine of this size. 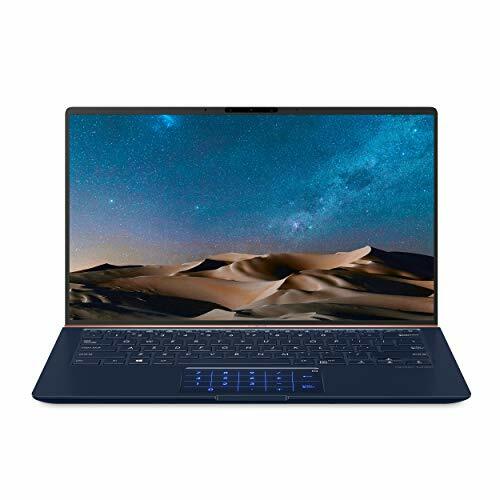 The ZenBook 14’s battery lasts more than 10 hours when browsing the web, beating many of its competitors including those with larger batteries. 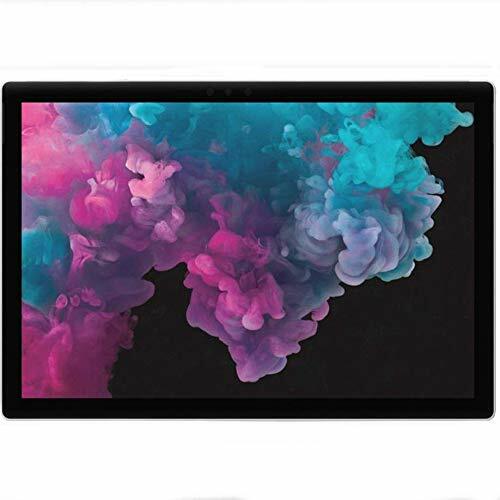 With some specifications weighing as little as 2.5 pounds, this 13.3” offers a complete package at a relatively affordable price. Who’s it for: those who want a more affordable laptop but value battery life. The MacBook Air is now thinner and lighter than it has ever been, making it the ideal solution for Apple fans on the go. 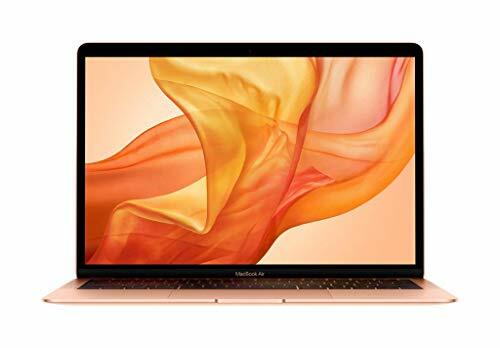 However, there are many other improvements that have been made to this laptop, including the introduction of a Retina display for the first time on a MacBook Air. The battery has been rated for 12 hours of wireless internet surfing, which is impressive. Who’s it for: Mac lovers who don’t need the power the Macbook Pros offer. Designed for travelers with creative inclinations, the Yoga Book is a different kind of laptop. 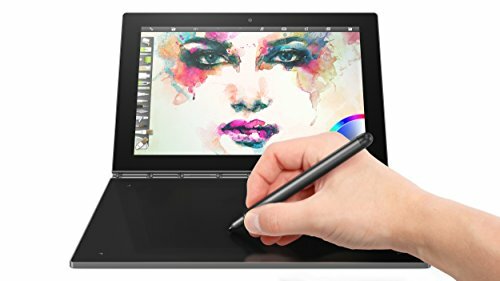 This 2-in-1 laptop uses a digital trackpad and keyboard and can also be used as a Wacom digitizer. It has both Android and Windows 10 variants, and at 690g, is one of the lightest 10-inch 2-in-1 laptops you’ll come across. Who’s it for: 2-in-1 lovers who want a reasonable price tag. 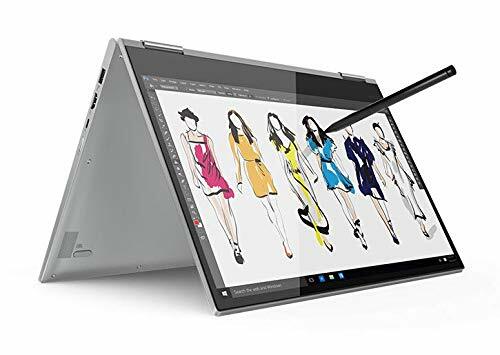 The latest Yoga C930 is getting plenty of plaudits from enthusiasts of larger 2-in-1 laptops, with ZD Net saying it ‘almost manages to tick every box’. The 13.9-inch touchscreen comes with Dolby Vision, resulting in a much better viewing experience. Despite the screen size, the C930 weighs a manageable 1.38kg. 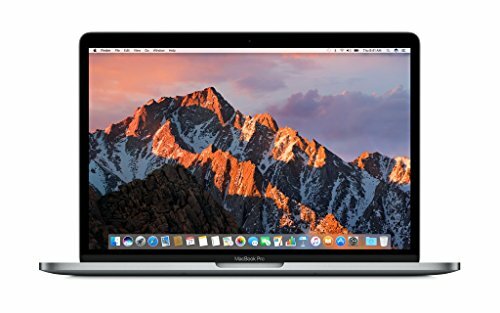 There are Core i5 and Core i7 variants with built-in graphics, and the battery can last for up to 14.5 hours for models with the FHD screen. Who’s it for: 2-in-1 lovers who want a more full-featured laptop. Which Travel Laptop Is Right for You? All of these travel laptops can work for different types of travelers, so it’s hard for me to say there is one that everyone should have! I have two laptops that I carry with me for different types of trips. If I’m going on a shorter trip, or I’m going on a more relaxed “vacation” style trip, I often bring my chromebook. I don’t like having to worry about an expensive laptop while I’m traveling, so I prefer to take an inexpensive chromebook whenever I can. But if I know that I’ll be working on a project that requires programs for photo editing or design, I’ll bring my Macbook Pro so that I know I won’t be hindered. So take a look at these laptop options; they’re all pretty great and offer something for travelers in particular. Let me know what you pick in the comments!